Above and Semi-Inground Pools Available Now! Let’s be real. A pool is the one leftover dream of childhood that you still get more than a little envious over. Offering both unbridled fun and stress-relieving relaxation, a pool can do more for you and your family than all the forced weekend getaways combined. When you can simply step out into your own backyard to enjoy a watery oasis, why go anywhere else? 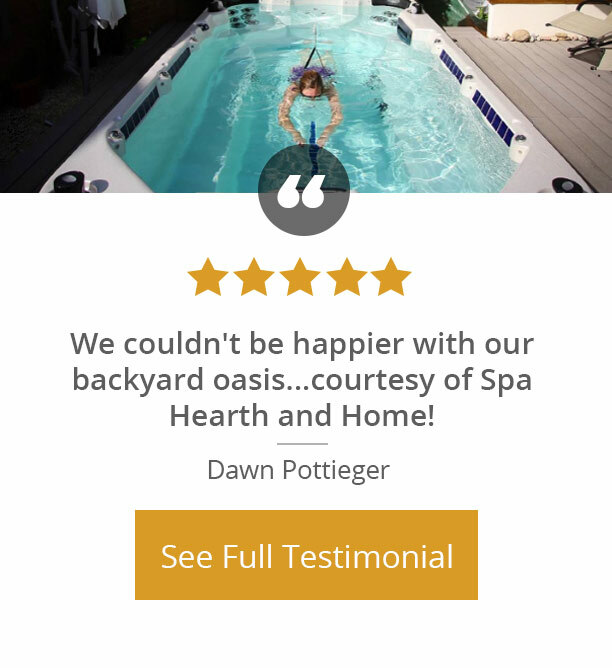 Stuffed with a selection of the highest-quality pools on the market, the Spa Hearth and Home showroom offers future pool owners the ability to choose the perfect pool for their needs and budget. 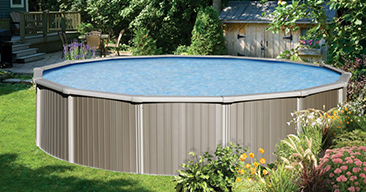 Featuring above-ground pools by Backyard Leisure Pools, we’ve sold thousands of the preferred pool manufacturer’s products, allowing each customer to indulge in the pool that best suits them. This is where we may say “take the plunge” or “splash into savings” but neither conveys the message of true personal indulgence or recreational activity like your own above-ground pool. Visit our pool store today to get the full experience that only Spa Hearth and Home offers.